When you’re moving house or putting your stuff into storage, do you make an effort to pack stuff in a box that can be reduced, re-used and recycled, or have you never really thought about it? It’s just a box right? Well, a growing number of customers expect products in eco-friendly boxes, from delivery companies, and when packing for storage themselves. We have more of a concern for our environment now, due to increasing climate change and damaging effect on the environment from not being concerned about how eco-friendly we live. So, now everything we do and how we do it becomes important. Traditional packaging materials that are not eco-friendly include polystyrene loosefill or plastic blister packs. 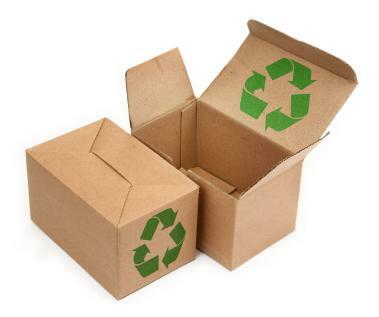 The most common material used for packing is corrugated cardboard boxes, but although this may seem like it is not eco-friendly as it involves the process of destructing forests and destroying eco-systems, the paper based materials are generally cut from sustainable woodlands. In addition, because cardboard boxes can be reused and recycled, it means we are not using up the worlds resources and are giving the material a maximum life span. Corrugated cardboard is also cheaper as recycled packaging is usually sold at a reduced cost. Alternative materials can also be purchased for packaging such as: Single-face corrugated paper rolls, corrugated mailing wraps, shredded kraft papers and corrugated sheet-board, all of which are 100% recycled materials. Contact Storage Giant for storage solutions and packaging materials or take a look at our packaging shop area.